When winter’s first snowflakes begin to blanket the ground in Colorado, it’s the start of a joyous season for skiers and snowboarders at Colorado's 28 ski resorts. They’re not the only outdoor adventurers who eagerly await the winter months. 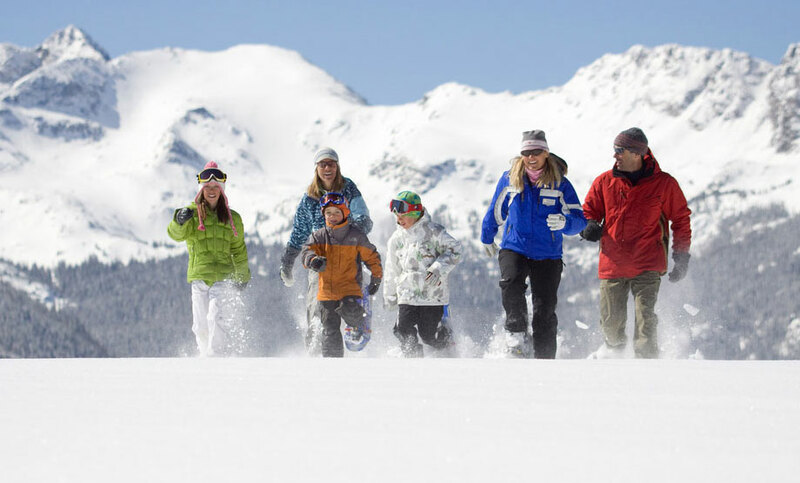 Colorado’s sun-soaked skies, powder-filled valleys and snow-capped peaks make it a winter wonderland filled with fun things to do, like snowmobiling, tubing, ice skating, snowshoeing and much more. 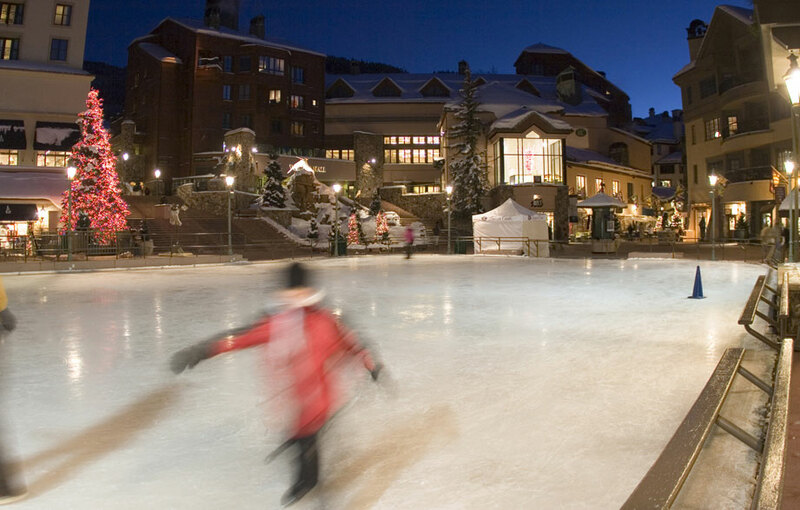 Enjoy some old-fashioned ice-skating fun at one of Colorado’s many outdoor rinks. For an urban setting, visit the rinks in Fort Collins or Denver. Both are located in lively pedestrian areas and are surrounded by charming shops and cafes. For a more mountainous venue, glide over to 40-acre Evergreen Lake, west of Denver, where you can spin on the ice and then cozy up to the fireplace in the rink’s warming hut. Keystone, Breckenridge, Beaver Creek, Vail, Lake City and Crested Butte are also favorite spots for a skate. Read about more Colorado ice-skating rinks. Warm, snuggle-ready blankets, crisp, winter air and the gentle jingle of bells tinkling to the rhythmic stride of strapping horses are hallmarks of Colorado sleigh rides. So are elegant dinners, local Colorado wines, convivial conversation, roaring fires and decadent desserts. Sleigh rides in Colorado are much more than circling around a track; they’re fodder for vacation-defining moments and stories to share back home. Dude ranches, including those in Grand County and Steamboat Springs, are some of the best places to find fun sleigh rides. 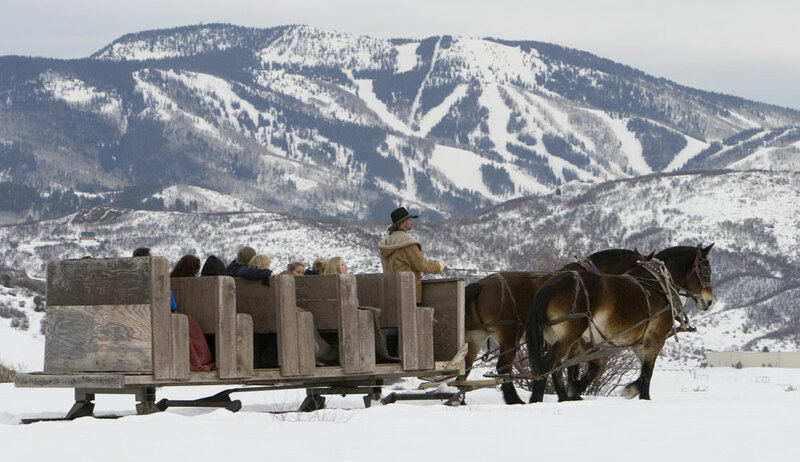 Read more about Colorado sleigh rides. Bundle up the kids in hats and mittens and head for the hills — that’s where you’ll find plenty of sled- and tube-friendly terrain. It’s hard for anyone not to emit a lighthearted giggle as you sail down the hill, catching a bit of air as you roll over gentle bumps. Try the hills at Vail, Keystone, Steamboat, Copper Mountain, Cuchara and Fraser. Lifts and tow ropes will lug your tube or sled to the top of the hills, giving you time for more runs. 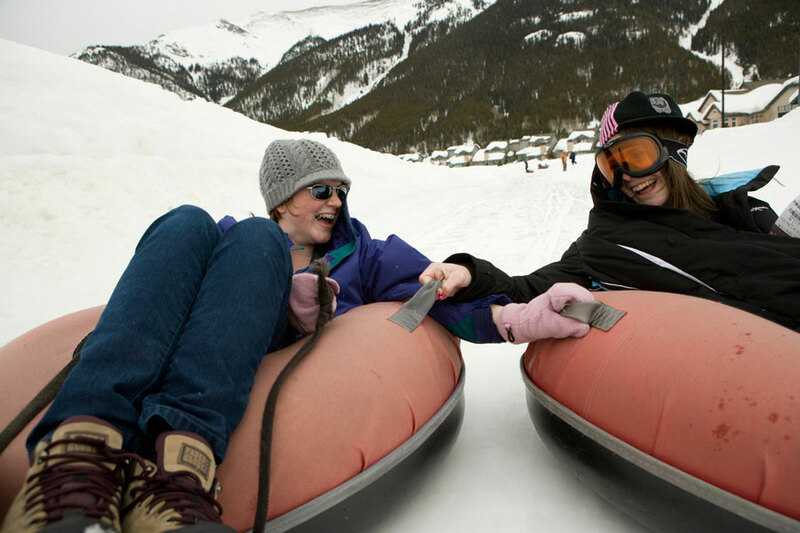 Read more about Colorado tubing hills. Read Colorado's best lakes for ice fishing. Backcountry trails lead to fluffy-snow-covered valleys and peaceful stands of evergreen and aspen trees, where the only sounds you hear are chirping birds and your own heartbeat. Rocky Mountain National Park maintains dozens of these sorts of trails. Pick up a trail map from a ranger station or join a ranger-led group tour. The Brainard Lake area west of Boulder also offers an array of well-marked trails, as do the state’s many ski towns. Experienced snowshoers and cross-country skiers can also make reservations for the state’s extensive backcountry hut system, the 10th Mountain Division. Read beginner snowshoeing tips and find Nordic centers and which ski resorts offer lessons across the state. The wind whipping against your face. Barking dogs eagerly speeding you along the trail. You at the helm shouting “mush!” Within moments of embarking on your dog-sledding expedition, you’ll experience a rush unlike any other. Dog sledding is fast becoming a popular Colorado adventure in snowy mountain towns like Snowmass, Breckenridge, Winter Park, Steamboat Springs, Telluride and Vail. 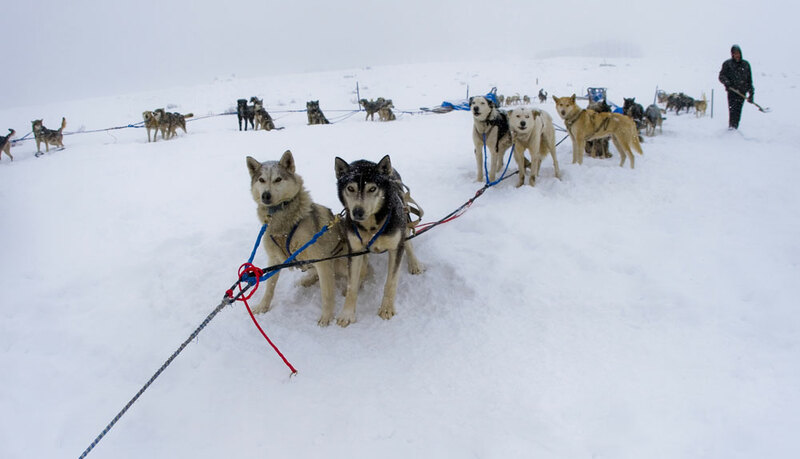 Read more about Dog-sledding rides in Colorado. Combine the thrill of a high-speed ride with the beautiful scenery of the snowy alpine environment, and you’ll discover why snowmobiling is so popular in Colorado. With miles and miles of trails in nearly every region of the state, you won’t have trouble renting equipment and taking a ride. Some of the most popular areas include Grand Lake, Winter Park, Leadville, Buena Vista and South Fork. Read more about Colorado snowmobiling. A number of waterfalls-turned-ice-walls can make for great winter climbing for experienced climbers, but the mountain town of Ouray is considered by many to be the ice-climbing capital of the world. Each year, thousands of ice climbers descend on Ouray to scale the imposing Ouray Ice Park and experience the world-famous Ouray Ice Festival in January. Other towns, like Lake City, Vail, Grand Junction, Glenwood Springs, Redstone, Boulder, Telluride and Silverton, are popular with experienced ice climbers.